This week, two more pothole gardens have sprung up in Europe. Andrea from Italy sent me his little garden, complete with a tractor (to help fix the road, of course...). 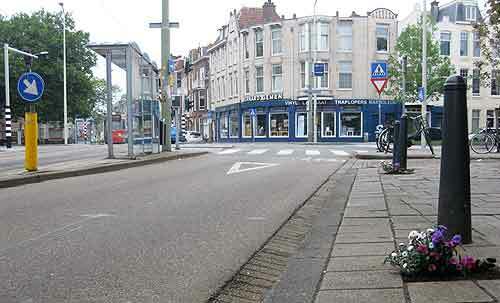 And perhaps the world's first "twin" pothole garden was spotted in the Netherlands in the Inventor District. Thanks for sending them to me - if you spot a pothole garden, get in touch! When I was in Prague recently, I came across the forget-me-not project, a project to help find missing children. Check them out, it's a great cause and they are accepting donations if you're feeling generous. Aug 22 The biggest pothole garden ever?